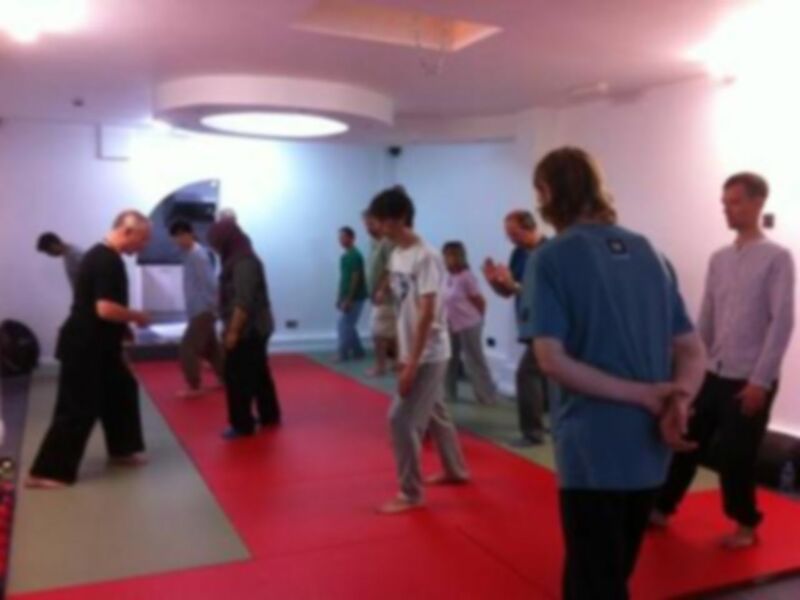 Our Mission is to share the traditional Chinese martial art of Taiji Quan and the therapeutic practice of Qi Gong with as many people as possible so that everyone can enjoy the benefits. At our Association, health and personal development comes first so our classes are designed to benefit both body and mind. Our syllabus therefore not only aims to improves fitness, balance, flexibility and mobility but also teaches awareness, self discipline, confidence and respect. All students undertake a programme of exercises designed to teach principles of movement, body alignment, good respitratory practice and mental focus. As they progress they study a set of traditional movements known as the 'Big Slow Form' which gives them both physical literacy and a basic level of fitness, good balance and body awareness. This famously beautiful flowing sequence of movements is the core study. For students wishing to study Taiji as a martial art there is a comprehensive syllabus of weapons and two man combatting practice as well as martial applications. Modern medical research now shows that Taiji Quan and Qi Gong are extremely beneficial practices for improving and maintaining personal health right into old age. Learning either art is an investment that gives you the skills and knowledge to maintain and manage your health, happiness and well being. These traditional health arts are now perhaps more relevant in the west than ever before. We are experienced in delivering classes to all ages and abilities and ensuring that they are appropriate and safe. We design and tailor workshops in both Taiji and Qi Gong for individuals and for groups always taking into account specific health requirements. With our partner The Seven Heavens clinic we can also offer acupuncture and massage therapy. Our instructors are all insured. 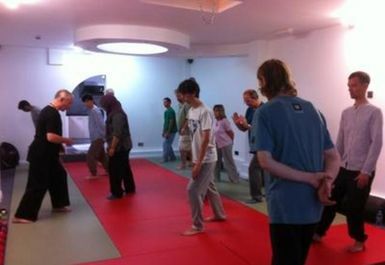 Our newly refurbished and wheel chair friendly studio is based in Finsbury Park North London. It is a warm and welcoming space, offering two practice spaces with kitchen facilities and a WC/cloakroom. We are a short walk from Finsbury Park underground and overground station, and have local 2hr meter parking nearby.